The restaurant Assador Típico was a recommendation from our host for typical Portuguese food. We ordered a grilled gilthead and a grilled chicken both with potatoes and vegetables, a bottle of water and two glasses of house wine. It was possible to order full or half portions but our half one was definitely enough for us. Before the main dish was served we got some meat croquettes and some bread as an appetizer. In total we paid 20.50€. Despite the low price the quality of the food was great. Everything was super delicious and the service was excellent. From the outside the restaurant seemed to be inconspicuous but as soon as you enter it you will see a huge nice sales counter and behind it different rooms in rustic style offering sufficient space. Therefore making a reservation is not necessary. 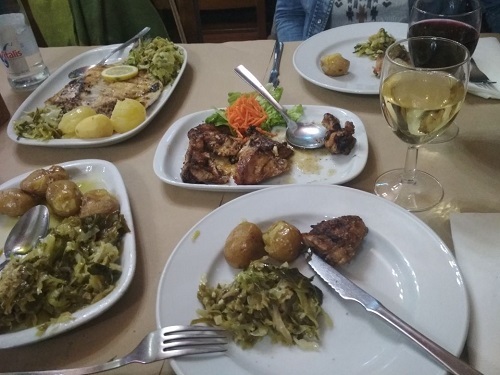 Who wants to try authentic Portuguese food will love this restaurant. When being in Porto you get the feeling that burgers are part of the Portuguese cuisine. On every corner there is a burger restaurant. 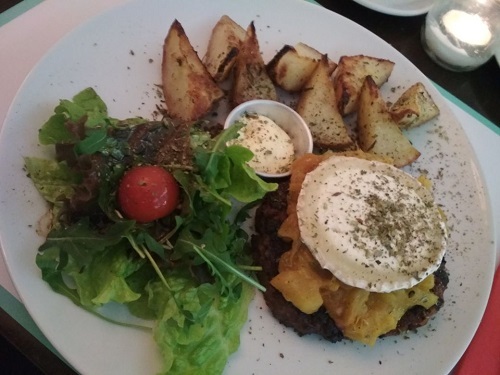 But Bugo Burgers is not only the perfect location for burger lovers because you can order the delicious meat patties without a bun and the typical side dish French fries. Instead we both had a delicious medium grilled patty one with mozzarella, tomato sauce and parmesan cheese and one with mango chutney and goat cheese. In addition we ordered potatoes and salad. Cost approx. 10€ per person. The special burger creations were super delicious and the service was good. The design of the restaurants reminds more of a fast food restaurant and does not invite to stay there the whole evening. By the way on the same street there are many galleries and street art. 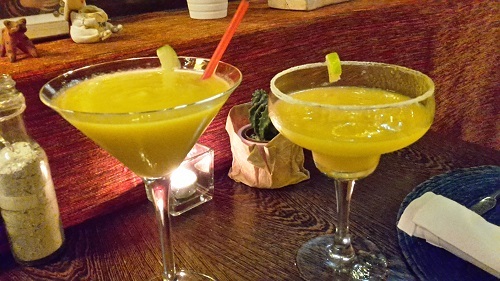 Frida offers authentic Mexican cuisine. 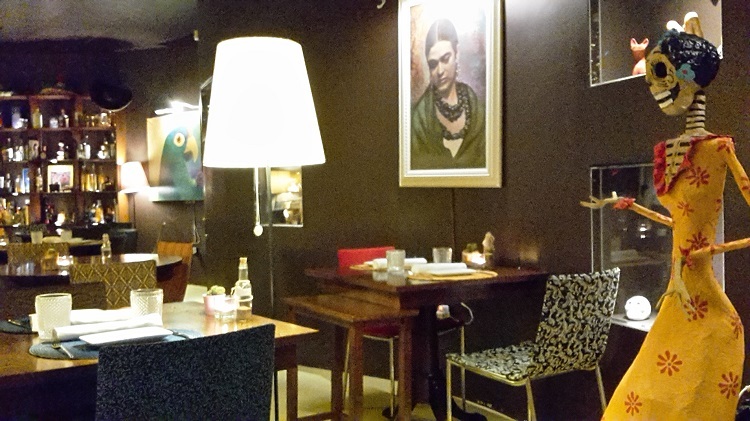 When entering the small restaurant you realize that it was named after the Mexican painter Frida Kahlo. The cosy room is decorated with some pictures and art from the famous artist, Mexican masks, a colourful skeleton and other Mexican decorative elements. Because there are less than 10 tables you should make a reservation. The menu is small and extraordinary. We ordered a Mexican soup, tacos, sweet potato mash and fried yucca (total cost approx. 25€). As an appetiser we had some nachos with dip. 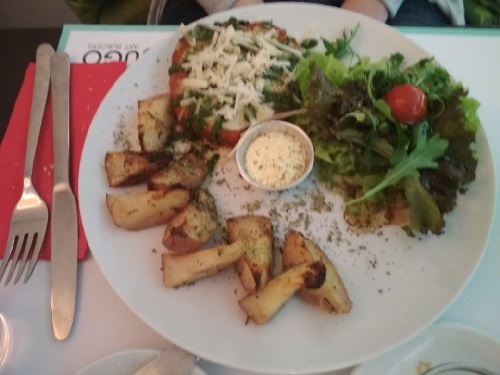 The food was very delicious and special and the service was excellent. 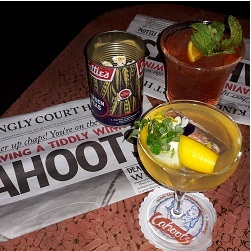 But the best were the super delicious cocktails (approx. 6.50€ per cocktail). After visiting the famous market Mercado do Bolhão in Porto which we was pretty disappointing in my opinion, we visited Mercato Beiro Rio in Gaia. The great market hall is located by the river close to the famous port wine cellars. 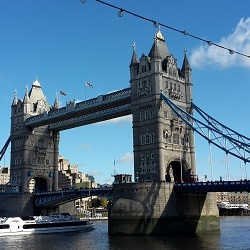 There are different stalls offering different food like wine, cheese, fruits, fish or ham but also freshly cooked dishes like pasta or risotto. In the middle of the hall as well as outside there are many tables where you can sit and enjoy your food. 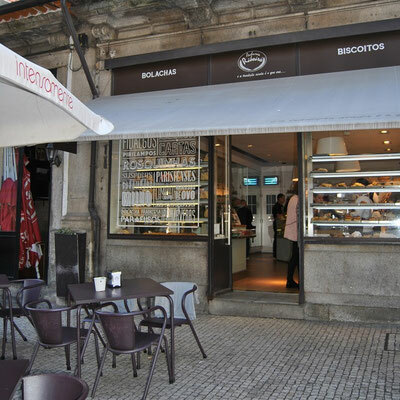 The traditional bakery Padaria Ribeiro opened in 1878. As soon as you enter the store, you will be impressed by the huge selection of sweet and savoury pastries. 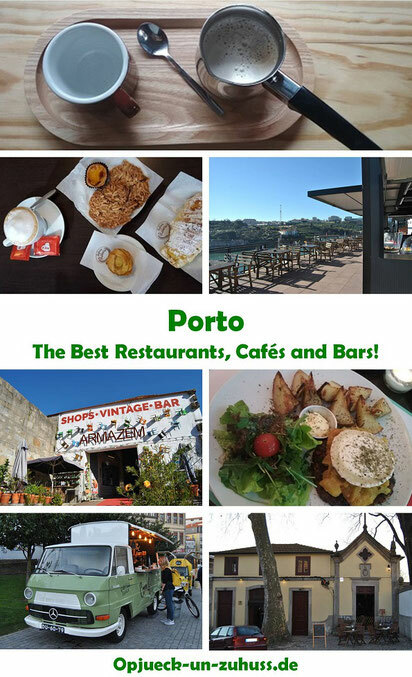 Just to mention a few of the delicacies, they offer pastel de nata, croissants stuffed with pudding, almond tarts, puff pastry tartlets filled with chicken, spinach quiche, many different cookies, bread and a lot more. Although the bakery is very popular the prices are very cheap. 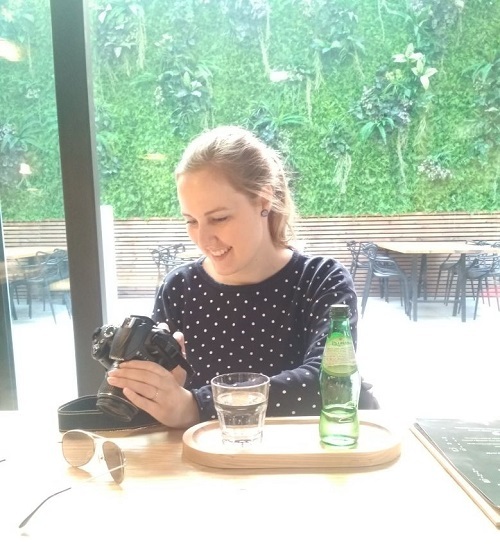 I would recommend to order inside the store and then enjoy the food on the terrace in front of the store or inside the café next to the store. 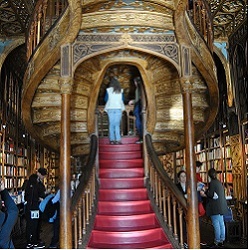 When being in Porto I guess you will visit tourist attractions like the beautiful church Igreja do Carmo, one of the most beautiful book stores worldwide Livaria Lello or the highest viewing tower of the city Torre dos Clérigos which are all very close to the bakery. Therefore, don´t miss the delicious pastries of Padaria Ribeiro. 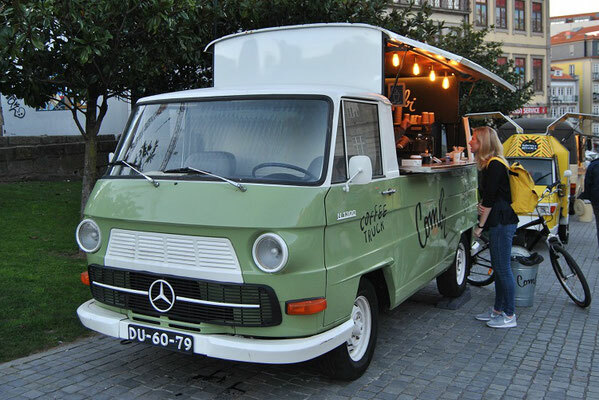 We became aware of the café Combi Coffee due to its coffee truck. The rebuilt Mercedes van can be found in the street of Porto since 2016. Usually it stands in front of popular tourist attractions. For more information check their Instagram account. The founders roast the coffee in small quantities by themselves and the result is a special, high-quality and delicious coffee which will make every coffee-lover happy. One cup of coffee is a little bit more expensive than in many other cafés in Porto, but worth every cent. A must-visit location for coffee-fans! Who does not want to look out for the beautiful van, can go to the café in Baixa. 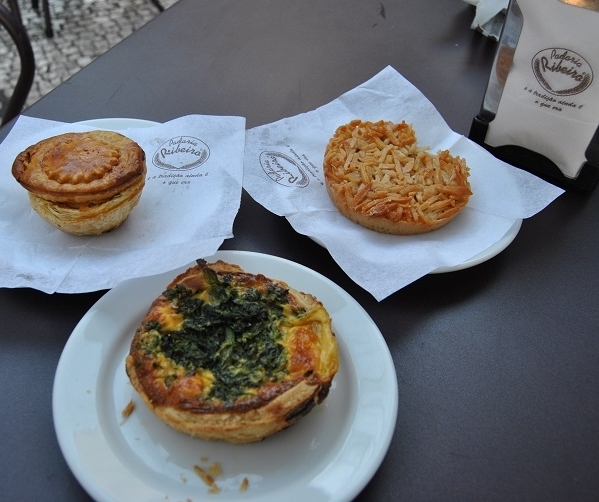 Additional to coffee specialties they sell delicious pastel de nata, muffins or savoury snacks there. 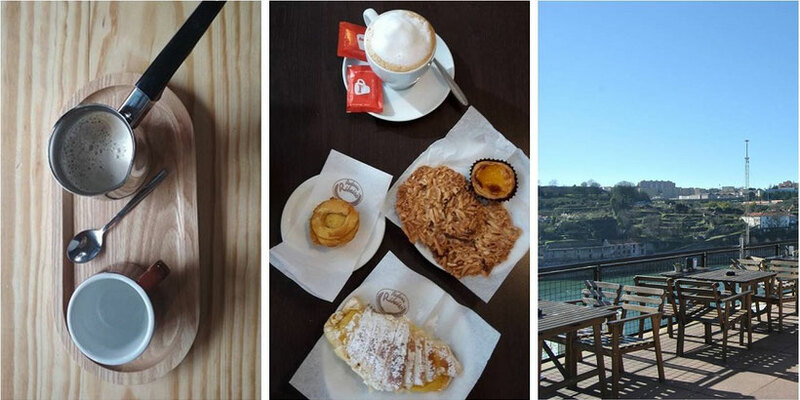 7g roaster is actually not in Porto but in Vila Nova de Gaia. 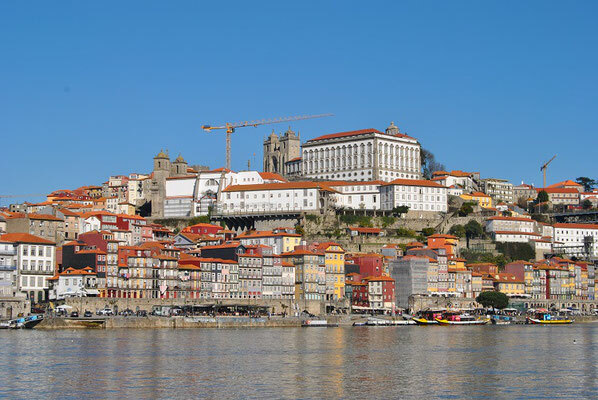 This small town is located on the other side of the Douro river. 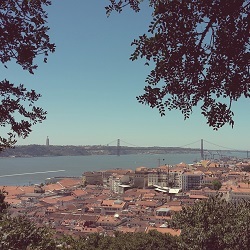 Due to the famous bridge Ponte Luiz I it can be reached by foot in a few minutes. 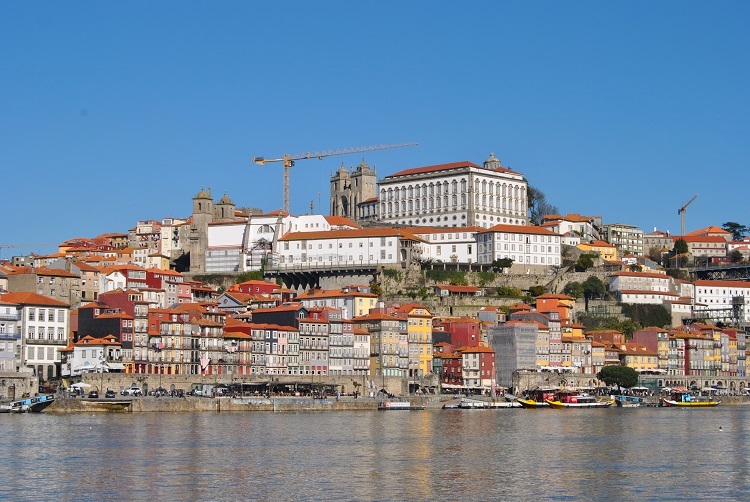 When being in Porto I guess you will visit Gaia as well because there are the famous port wine cellars like Sandeman, Ramos Pinto or Augusto. 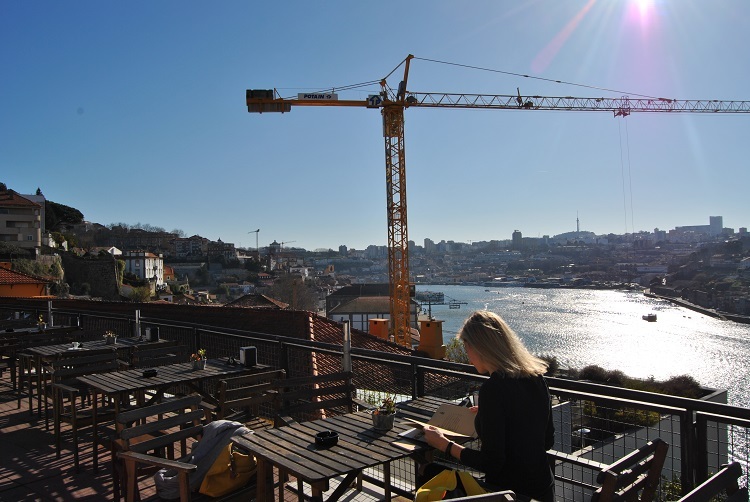 Moreover, you will have a great view at Porto´s old town. Next to the traditional port wine cellar Augusto, which is great for a small tour and tasting, is the café 7g roaters. They have a huge selection of different coffee specialties and a small selection of cakes. 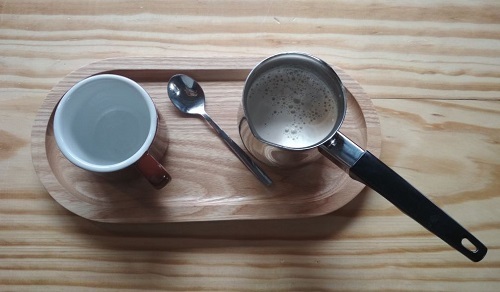 We really liked the modern ambience, the Chai Latte and the great service. Also a must-visit location for coffee-lovers! 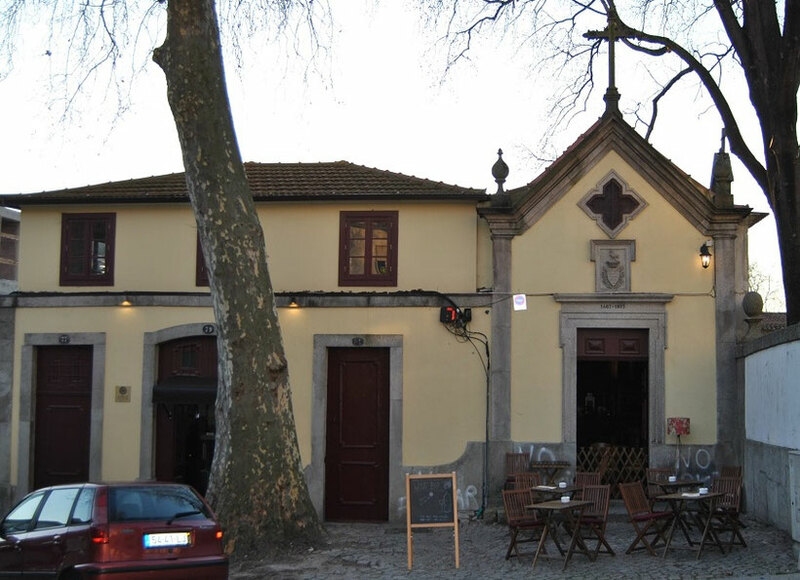 The wine bar Capela Incomum (extraordinary chapel) is located inside a former chapel from the 16th Century. Some elements of the former interior still exist like the great wooden altar. The atmosphere is very special and cosy. If the weather is good enough you can not only sit inside but also outside. They offer approx. 70 different wines inclusive many local wines. If you don´t know what to choose, just asked the staff for a recommendation. 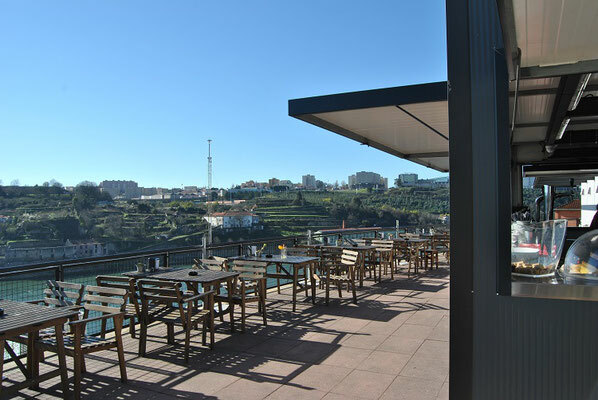 The bar Miradouro Ignez is well known for its fantastic view over the Douro River. The atmosphere is very relaxed. Both the fresh orange juice as well as the coffee was delicious. 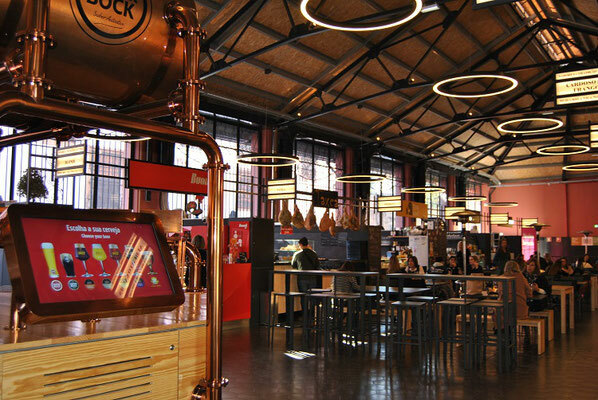 They don´t only offer coffee, soft drinks and alcohol but also snacks and burgers. The perfect location for a small breakfast, a relaxing afternoon or to enjoy the sunset at night. 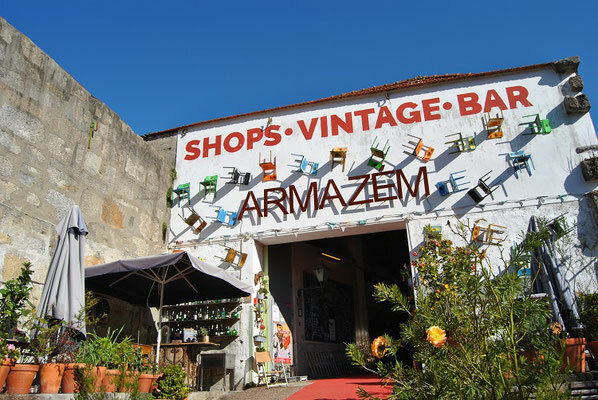 In the old warehouse right by the river is not only an extraordinary bar but also a flea market, where you can buy vintage furniture, decorations, art, jewellery, fashion and a lot more. Amid this nostalgic atmosphere you can enjoy for example tapas, wine, beer or sangria. When the weather is good it is also nice to relax at the beautiful terrace in front of the hall. There you can lie in the sun on beach chairs or sofas. 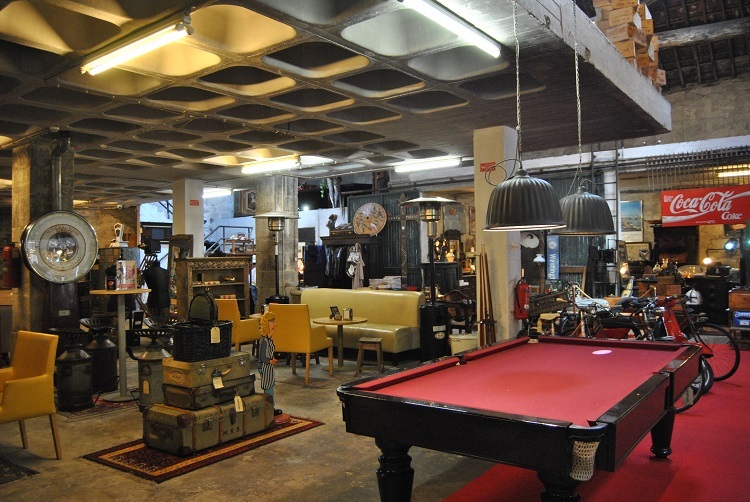 A must-visit location for vintage-lovers and friends of extraordinary ambience. I already listed Frida under restaurants. The food was great but the cocktails especially the Mango Daiquiri were even greater. Because it is also possible to stop here just for drinks, I had to list this amazing location under bars again. 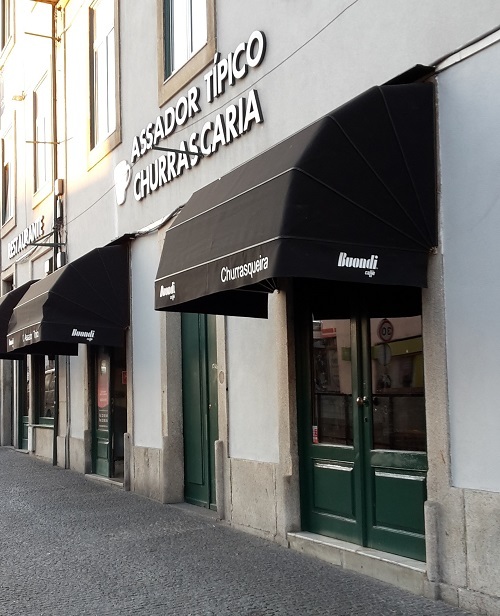 The restaurant Alma Portuense close to the church Igreja do Carmo was horrible. The service was bad and the food inedible! 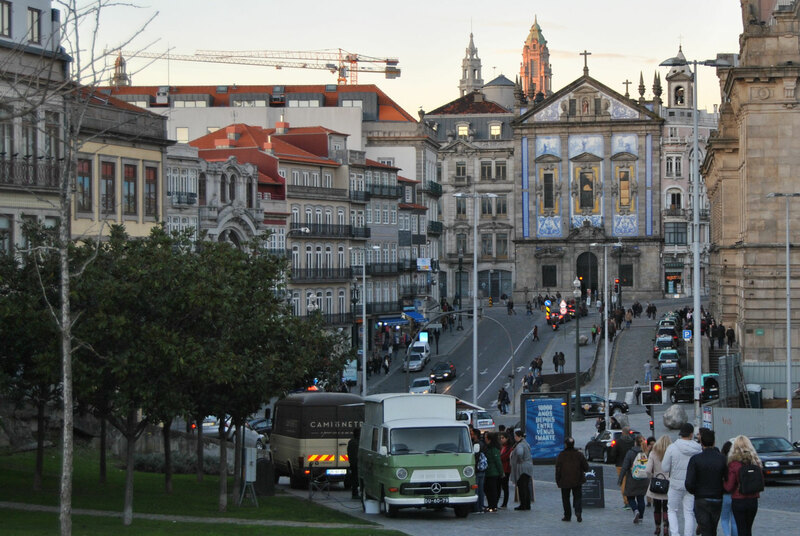 I visited Porto year before last and loved it, I really want to go back and take my husband as he wasn't able to come with me on that trip. Great list of places to seek out! 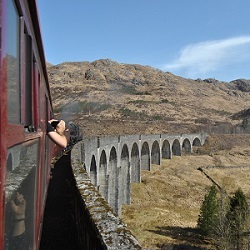 I hope to visit this year, so thank you for this list!